The Holiday Wishlist is a list of Lyme patients (or other related illnesses) that need a little extra help at this time of year. The manager and volunteer, for heading the Holiday Wishlist this year is Fern Klein. Thank you to you Fern for volunteering your time and afforts to this much needed cause. Click Here: https://www.facebook.com/groups/694206374068098/ Scroll down the list, and see what people's wishes are! Once you find someone you want to donate to Contact Fern Klein at email: liberty7712@comcast.net or call cell # 267-709-7942 for the person's address. I've been struggling sick with lyme for years. I'm unable to work. I could really use some help for the holidays. We are behind on bills. Have lots of medical bills we are paying monthly and my husbands work hours have gotten cut short and it makes it hard around the holidays. I have 4 boys. Ages 15,13,9 almost 10 year old Birthday soon and 6 year old. We are really in need of winter clothes for the boys. And could really use gift cards for food and clothes maybe to buy a couple small gifts for them for Christmas. Any thing would help. Anne has lyme and so does her 10 year old daughter. She also has 2 son ages 14 and 17. She would like a gift card from shoprite, walmart, or target to buy food for a holiday meal. Beth's family has 13 year old daughter with Lyme disease and a 8 year old son. I really want to help my birth sister out. We went into foster care and she aged out and has been on her own ever since. She has been sick and her (almost) 6 year old is really sick, he has Cystic Fibrosis and they are in the hospital every couple of months. My sister puts her kids first. She makes sure they have a place to sleep while she sleeps on the floor. 1 income is tough with all of those kids and all of the bills. She is trying to support her kids all by herself and I want to be able to help her a little. Thank you so much for all you do for people, it's much appreciated! * An air purifier and humidifier, especially for the 6 year old. * Gift card to Walmart, Kroger, Meijer. * Blankets to keep warm and winter clothes, toiletries. * Her (almost) 6 year old boy wears size 7 boy clothes and 13 shoe. He really wants the smart toy bear. He is very active, but also enjoys watching TV. * Her (almost) 9 year old girl wears size 12 girl clothes and 3 shoe. She enjoys drawing and coloring. * Her 3 year old girl wears size 2T-3T girl and 7 shoe. She loves Sofia the First, but it changes every couple of weeks. She enjoys exploring the world around her. * Her 14 month old boy wears size 18 months and he enjoys getting into anything he is able to. for her daughter who is 15 years old. Samantha has Lyme disease. She is mostly always in bed due to pain and sickness. Mom has severe health issues also. Besides Christmas it is also her birthday on December 30th. it will be her sweet sixteenth. So besides holiday gifts, birthday cards would make her day too! * Likes things like geodes, salt lamps, macrame wall decor, drift wood. * Brush and make up sets. *Soft Blankets for her bed. I am a 36 year old mom who has been very ill the past two years with Lyme (went diagnosed for many years) and biotoxin illness, plus MSIDS, Lupus, and a tumor on my liver. I have a husband and 3 boys. Our youngest son, 8, also has Lyme and many health struggles. We are having a hard time keeping up with all of the medical bills, affording my treatments, plus the supplements that me and my son need. Grocery gift card; Kroger, Meijer, Walmart or Target. For the boys- Target gift card, iTunes gift card, Legos, or full-sized bed sheets. Dave just lost his wife due to heart issues because of Lyme disease. Two out of three children have Lyme. * Gift cards for groceries, Walmart or gas cards or Christmas gifts. * Cash donation towards any of these expenses. We are a family of 5. Three of us have Lyme, and two of us are children. We're also caring for my elderly mom (age 86) who has dementia in our home full time with no outside help. We are living on a paycheck that barely gets us through month to month for bare necessities. 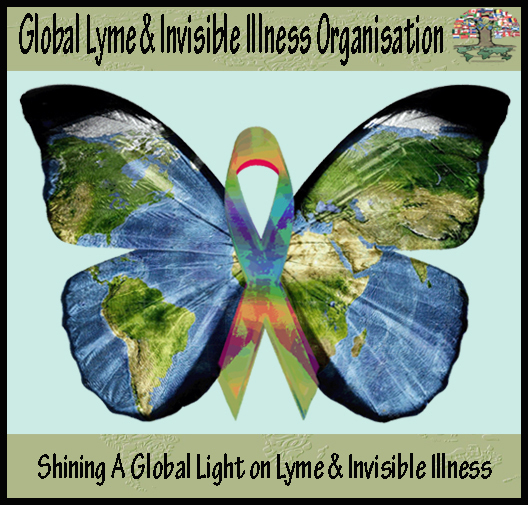 And none of us are receiving any treatment due to lack of funds, but have incurred major medical expenses this year for various doctors and hospital visits, due to Lyme conditions. * We could really use some help for food and clothing. * Walmart/Target gift cards would be very much appreciated! Born with Lyme, at 4 was bit and contracted HME. He also suffers with Hashimoto's. After the tick bite he didn't grow or gain any weight for over 10 months. Our LLMD says we are fortunate he didn't die while we struggled to find a doctor to treat him for 5 months for the HME. No doctors in our area would even give him the doxycycline! My poor child has endured so much in his short life but he is starting to show improvement on the treatment! * Any 6 yr old appropriate toys. Has Lyme, living with mom who needs care too. Lyme and Mold exposure, lost home and possessions because of it..
* Would love Gift cards or donations towards treatment. Has Lyme and just recently divorced. Would like some wishes granted for her daughter who is 15 year old. Helen is a long term Chronic Lyme patient who just lost her fiance who was helping her with bills and treatment. This is her fundraising page if someone should want to donate to her. Relocating from Iowa to Ca to be closer to Lyme dr, desperately need funds to do this, facing homelessness again. * I am in search of a tiny home community near San Francisco , please let us know if you have info on one. * Needs monetary donatoins towards moving costs. To pay off utility bills that are far behind and due to get shut off. Jenny has three kids that are all ill with Lyme & Bart. They are dealing with skin allergies, vertigo, headaches, fainting, nausea, stomach pain and the bone pain, anxiety, bone pain and headaches. All need treatment. Loves anything to do with agriculture, country music, itunes gift cards, anything with the the outdoors, fishing, hunting. * Female 15, loves fashion so Forever 21 gift cards or I tunes gift cards. I tunes gift card, he loves football, baseball, fishing, he loves Guinness books of world records, minecraft books, he wants the shirt smile more, and loves family board games. He also could use t shirts, he likes sports themed shirts. Size mens medium. He refuses to wear long sleeves because of his temperature. Joan is a single mom of 4. She would like movie passes for Christmas eve. She works two jobs to pay Jon's medical bills no money for anything extra. Kara is living on her own with Lyme and could use some help. * California natural lamb and lentil dog food for her service dog. * An atctic coat or one that is rated for freezing temps. Size 1X. Desperate Mom who is extremely ill, can't afford treatment or even rent or basic needs right now. * Needs all basic necessities, lost everything due to mold. Clothes, vaccuum, her kid's winter clothers all ruined, cooking supplies ruined. Now needs to move. I am much in need. I moved from Calif to Utah and need winter clothes. Jacket and Boots. M/L, 8 1/2. Leggings, long sleeve shirts. I can get jeans at our thrift store for $4./ea. * Donations towards a new mattress. I want to tell you about my daughter: My daughter is 20 and has Lyme disease. She has been struggling with bad head ache fatigue to the point she cant go to school . She has a 4 year old boy and would like to get him Christmas presents. She has no income and now is really trying to get better. But she has had it so long we don't know the damage. We know she has a swollen spleen they are keeping an eye on. . And with no income I am the provider. Any help at all world be grateful. It world be a great burden lifted for her. She also suffers from social anxiety and panic attacks. * Gift Cards would help her get some of the things she needs or gifts for her 4 year old boy. * 4 year old nursing student with chronic Lyme disease. *Struggling to finish school and traveling back and forth 200 miles to her Lyme dr.
Wendy Single mom of three 10 year boy 8 year old girl has Lyme. * 5 year old boy wold like a gift card to by winter clothes and food from Walmart, or target.